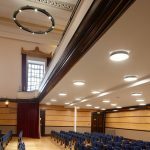 The Victoria Rooms campus at the University of Bristol has recently installed a number of bespoke chandeliers, crafted using Spectral’s H-PROFIL system. 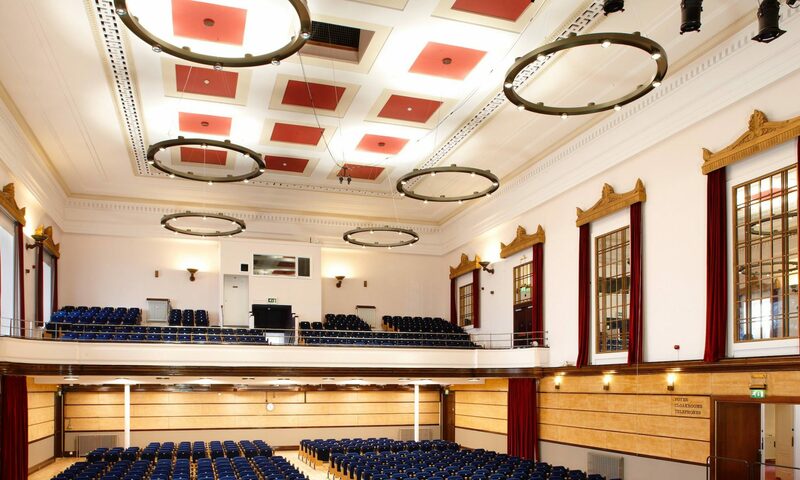 The period architecture of the building was previously lit by classic, candelabra style chandeliers that were highly decorative, however, inefficient in their energy consumption. 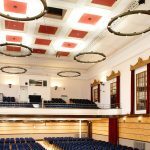 Spectral’s solution was to design tailor-made fittings that would provide both the required lumen levels and a sensitive aesthetic, suited to the building’s décor and befitting its history. 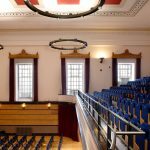 Opened in 1842, the Victoria Rooms served for many years as an important centre for culture in the West of England, later becoming the University of Bristol’s Department of Music. 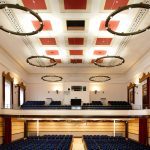 Once the stage for renowned 19th who performed a selection of readings at the venue, the Victoria Rooms now house the university’s central library and still function as an auditorium. 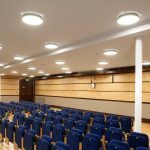 Initially, staff at the university were reluctant to install new fittings, wary that contemporary luminaire styles would not blend with the traditional features and architecture. Undeterred, Spectral remained confident it could deliver on energy efficiency and design using H-PROFIL and created CAD renderings to present its solution. The stringent demands of English Heritage also had to be met. The resulting chandeliers used 15W point source LED modules combined with facetted aluminium Pablo reflectors to create the desired low glare light effect. The H-PROFIL extruded system has been subtly crafted into a clean, minimal cylinder and finished in bronze to tie in with the décor and create a neo-classical look. 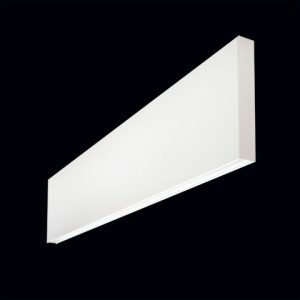 The heavy gauge extrusion also acts as a perfect material to thermally control the heat from the LED modules and ensure maximum performance. This project is a good example of the flexibility of H-PROFIL. 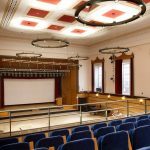 From modern spaces to period buildings – where original features and architecture need to be respected and not overshadowed – Spectral is able to craft a made-to-measure solution. 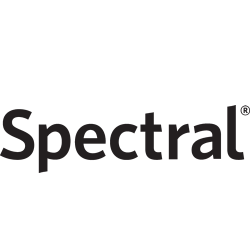 In offering this level of service, Spectral was able to reassure the doubts that the client had and deliver a solution looks great and saves on energy. 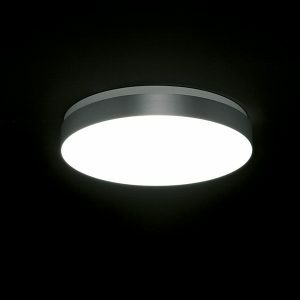 All luminaires were delivered fully assembled from Germany and packed into wooden containers for maximum protection and ultimatly, ease of installation.